If the General Assembly resolutions are legally non-binding of UN Member states except the resolutions of the UN Security Council, it should also mean that the UN Human Rights Council Resolutions are also legally non-binding except carrying political weight over & above their recommendation. If so, why have Sri Lanka’s government co-sponsored questionable & country-specific resolutions by the UNHRC which commits to change sovereign laws to align to the UNHRC resolution demands since the UN has no legal powers to do so? This faux pas should be immediately reversed with a change of government given that the present government has been installed by a regime change orchestrated by the very parties presenting the resolutions through the UNHRC! The UN General Assembly comprises 193 member states. The UN Charter does not grant the General Assembly (or the International Court of Justice) authority to enact or amend international law. “affirmation” means merely a declarative statement of sentiment. It is not a directive. It is not law. Thus, UNGA lacks legislative powers. When the Philippines delegation proposed in 1945 to vest the UNGA with legislative authority to enact international laws which are binding of its member states after its approval by the UNSC, the proposal was rejected 26-1. The General Assembly has no power to compel action by any government. However, the resolutions do pose political weight and soft diplomatic pressure. However, though there is no legal status to the UN Resolutions, they can reinforce rules of customary law. Resolution 217 on the Universal Declaration of Human Rights though not legally binding, does influence national constitutions, treaties and/or international laws. Article 10 -17 outline the powers & functions of the UN General Assembly. General Assembly passes resolutions but all of them are merely recommendations and NOT LAWS thus they are NOT BINDING of any member state. None of the UNGA Resolutions have a legal obligation for UN Member states to implement them. No UN Member state is even bound to even consider these resolutions. Resolutions are simply a diplomatic bullying tactic. Isn’t this why Israel has ignored all of UN’s resolutions! Inspite of the non-binding nature of the UN Resolutions when such resolutions are drafted and passed, the General Assembly becomes aware and are made conscious of issues. However, what is emphasized here is that unfair, impartial & biased resolutions are being passed as a result of money & lobbying that creates a wrong world opinion against member states. Member states must seriously address this in the light of increasing country-specific resolutions being drafted by powerful nations who are engineering conflicts to justify their R2P interference. However, in accordance with Article 25 of the Charter, UN Security Council Resolutions are binding & legal. Any decision of the Security Council is legally binding upon all U.N. member states, whether or not the text of the resolution explicitly references Chapter VII. The UN Security Council has 15 members, five of which are permanent (US, UK, Russia, China & France) The UN Security Council is tasked with ensuring peace & security. Resolutions of the Security Council unlike the General Assembly are binding of all states as per Chapter VII which confers it authority. The example of UNSC action against Yugoslavia UNSC Resolution 820 in 1993 can be cited. International law is law that governs the legal relations between or among states or nations. International law is found in Treaties, Judicial Decisions, Customs or General Principles. If so, it questions why Sri Lanka’s leaders & diplomats have spent unnecessary money to lobby the UN without simply challenging the UN & its associate entities & their officials to produce evidence before drafting resolutions & embarrassing a member state. UNHRC is simply an inter-governmental organ within the UN system. If the UNGA does not have legal jurisdiction with resolutions that it passes, how can UNHRC have legally binding resolutions? Why have Sri Lanka’s leaders & diplomats allowed Sri Lanka to be coerced by UN officials knowing the legal status while foolishly changing Sri Lanka’s internal laws in line with the UN Resolutions that put into legal action what the UNGA Resolutions are unable to do? A complaint must be filed with the UNGA & UNSC bringing to light these legal arguments & questioning the manner that the UNHRC/OHCHR has abused & violated the spirit & Charter of the UN against Sri Lanka. 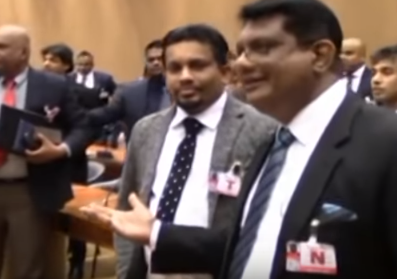 The manner that other abused states & where bias & manipulations have led to collapse and chaos of nations like Libya, Syria etc warrant UNGA Members to demand that the UNHRC stop the witch hunt against Sri Lanka as these actions create precedents that will affect & apply UN interference to other countries as well. Can countries with blood soaked hands frame bogus charges of war crimes against Sri Lanka? Whatever countries of the West preach, their record speaks volumes and should be nothing they or their citizens can be proud about. The question is, knowing that these countries of the West have lied, created false reports, false flag stories/campaigns, secretly trained & dispatched ‘rebels’ to stir trouble to justify their interference….can these countries be allowed to use the same formula and destroy Asia after destroying Africa, South America, Middle East & parts of Eastern Europe? There is a basis to reject the US-sponsored resolutions against Sri Lanka. The US has produced manuals which are replicated in different countries. They proudly produce films showing off their ability to destabilize nations. Can such a country be a genuine friend? Can such a country be trusted? Can such a country who uses the hall of the UN to promote its plans using the terminology & Charters of the UN be allowed to ruin yet another country? Anyone defending the US, please produce a single country that the US has helped develop & prosper after militarily intervening in their internal affairs! 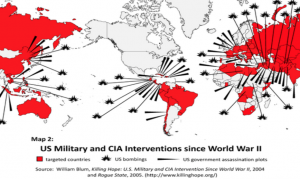 The CIA has been the key agent used in destabilizing operations worldwide. When anyone is termed a CIA agent, it is because CIA recruits influential intellectuals & charismatic personalities, the agency is also famed for threats, kidnappings, torture, enforced disappearances & even assassinations. Declassified CIA documents provide evidence. CIA has been associated with uprisings, military rebellions, economic chaos and even able to cause scarcity of food & water. America dropped 26,171 bombs in 2016 – Afghanistan, Libya, Yemen, Somalia, Pakistan, Syria & Iraq. In 2015, the U.S. dropped 22,110bombs in Iraq and Syria. Hawaii 1893 – overthrowing Queen Lili’uokalani & annexed Hawaii to US by 1898. Iran 1953: overthrowing democratically elected PM Mosaddegh with the help of UK (Operation Boot/TPAJAX Project). US turned Iran to an authoritarian state. US regime change for Syria meant funding Syrian Opposition Groups to help topple President Assad though internationally denying involvement in any regime change. From 2013, US provided training, weapons, cash to Syrian Islamic & secular rebels. In Paraguay, Obama administration staged a ‘soft coup’ to get rid of the democratically elected leader Fernando Lugo simply because he upheld land rights of the peasants! When Brazil’s Goulart attempted reforms to combat illiteracy, transfer profits by multinational companies, reform tax laws & redistribute lands what did US do? It carried out a military coup helped by then US envoy in Brazil, helping transport arms secretly! China 1946-1949 – US helped Chinese Nationalist Party (KMT) against the Chinese communist party forces as well as sending US troops. KMT had been given $4.43billion! US militarily invaded Grenada in 1983 to get rid of the government that the Reagan Govt opposed. All that the UNGA did was to call the invasion a “flagrant violation of international law’ and US vetoes a UNSC Resolution. So what good is a UN? In 1989, US invaded Panama and deposed leader Noriega. Use of “all necessary means” adopted by US & Coalition forces against Iraq in 1991 known as the Gulf War. Saddam claimed he invaded Kuwait upon approval of US. US assisted Haiti’s military to oust elected leader Aristide. The coup leader Cedras & Francois received military training in US. Libya military intervention by US & coalition in 2011. US & British troops fired over 110 cruise missiles. 1964 Chilean – US funded candidate Montalva against Salvador Allende as well as funding to tarnish Allende’s reputation (methodology probably applied in Sri Lanka too). 1970 Chilean – Church Committee report claimed CIA supported kidnapping of Chilean Army Commander Gen. Schneider who died of wounds. 2002 Bolivian – US envoy warned Bolivians against voting for Evo Morales but the move backfired. Nicaragua – US supported groups rebelling against President Zelaya who was opposed to foreigners taking Nicaragua’s natural resources. Any democratically elected leader attempting to bring land & economic reforms to benefit the citizens will not go far as Brazil experienced in 1961-1964 when US Govt insisted Brazil impose a program of economic austerity refusal meant US would cut off aid and if that is not adhered to, it is ouster & installation of a military pro-US head. CIA working in tow with Indonesia army in 1965 to oust President Sukarno & replace with Gen. Suharto. US helped lead military coup using Gen. Banzer & toppled President Torres of Bolivia (1970s) another US-propped dictator. Under US-propped dictators the calls for freedom of speech, torture, disappearances never made it to any international forum or calls for action. Torres was assassinated in 1976. The US that talks on ‘war on terror’ is silent about how It secretly provided weapons & funding to the Mujahideen of Afghanistan in the 1970s to overthrow the Afghan government. Similarly the US has also been accused of secretly arming, training & funding the Contras in Nicaragua. CIA is accused of distributing ‘terror manual’ instructing how to blow up public buildings, assassinate judges, create martyrs, blackmail ordinary citizens (Psychological Operations in Guerilla War) – good for Sri Lankans to read this book & see how many have been enforced in Sri Lanka! CIA recruitment of Ayad Allawi head of Iraqi National Accord who opposed Saddam Hussein of Iraq & began a sabotage campaign including bombing against the government. Allawi was installed as PM of the Iraq Interim Governing Council in 2003. Has the US tapped military personnel in Sri Lanka? in Venezuela, US is said to have spent $90 million funding opposition groups against late Hugo Chavez. 1955-1960 – Laos – US Govt funded military budget & even paid salaries of the Laos Army. US also set up an office to field its civilian personnel with military experience. US also sent commando units in civilian attire to train the Royal Lao Army. US pressuring the Fatah faction of the Palestinian leadership to topple the Hamas government of PM Haniyeh whom people elected in 2006. Since Fatah faction had the blessings of the US the whole world was quiet when Fatah kidnapped, tortured civilians and even set fire to the university of Gaza! 1957 Syria – coup attempt to assassinate key Syrian officials & blame on Syria government as pretext to invade by Iraqi & Jordanian troops. The operation failed when Syrian military officers who were paid to stage coup revealed the plot to Syrian intelligence. US denied & US media accused Syria of being a satellite of USSR. 1959 Iraq – US intelligence in collusion with Egyptian intelligence attempted to assassinate PM Qasim & recruited Saddam Hussein. Qasim ended up only wounded. Saddam Hussein an one-time US asset was eventually killed by US. 1961 Cuba – US training of Cuban exiles to invade Cuba to overthrow the Govt is another CIA-mastered tactic. The Bay of Pigs invasion of April 1961 failed. The US & its intelligence have been infamous for assassinations, economic warfare, embargoes, sabotage, working hand in glove with all types of mafia, diplomatic isolation, psychological operations that use multiple modes of media to turn people against their elected government and these are factors that every country dealing with the US need to take serious stock of. US influenced sanctions on Iraq through UNSC in 1991 Resolution 687. Oil embargo imposed on Syria in 2011 as well as Libya ahead of the military interventions. 1981-1991 US provided weapons, training, financial & logistics support to Contra rebels in Nicargua. US assistance to the Kosovo Liberation Army ahead of Kosovo independence after the war KLA became Kosovo Protection Corps which worked with NATO to patrol the province! Many of the KLA leaders are now political leaders of independent Kosovo – it is a replica of the scenario unfolding regarding LTTE & TNA & their quest for self determination helped by US & EU too. US is also alleged to have direct links to ISIS, Al Qaeda & numerous other linked terror groups. The US record against sovereign nations speaks volumes of why Sri Lanka’s leaders & even officials need to be well read & aware when dealing with American envoys & realize that what we see is certainly not what we are going to get. At the peak of the war against the LTTE, then defence secretary Gotabaya Rajapaksa was the most feared and powerful man in Sri Lanka. The UN Human Rights Council had asked Sri Lanka to probe war crimes in which Gotabaya was accused. Nearly a decade later, the 68-year-old is being talked about as a possible presidential candidate, with brother Mahinda Rajapaksa not able to contest again due to the constitution’s upper limit of two terms. He lives in a small two-storey house in Colombo, guarded by not more than two security personnel. If you read Shivshankar Menon’s book (Choices — Inside the making of India’s foreign policy), the former Indian National Security Adviser has categorically said that Sri Lanka had given India assurance and shown that it was concerned about any threats to Indian security concerns. Our government never allowed Sri Lankan soil to be used by any foreign country against India… Diplomacy is an art of reciprocity, it is about engagement, conversations and mutual trust. In diplomatic relationships, you cannot replace empowered diplomats with intelligence officers. India has to come out of this ‘China phobia’ with regard to its relationship with Sri Lanka. There are concerns here too, such as among Sri Lankan patriots about India working against the interests of Sri Lanka. For example, it is a known thing that (Indira) Gandhi supported and trained the LTTE in India. That created a huge anti-India feeling… The Sri Lankans feel there is unnecessary influence by Indian governments in its internal affairs. That was seen at the time of change in the last government too (in which Mahinda was defeated, and Maithripala Sirisena became President)… The Indian government has to be more concerned about this and study the situation, rather than act in haste. The war lasted 30 years. I consider the post-war developments in Sri Lanka a bigger victory than defeating the LTTE. But that has not been recognised by international organisations as well as the international community. Within a short period of 2009 to 2014, we achieved a lot. Not only infrastructure development, but political achievements too. In 1998, the provincial system was introduced, elections held in the north after the war (2013) were not mere polls but free and fair elections. Many believe that you have blood on your hands. That as defence secretary during the war, you defeated the LTTE but were also behind the killing of thousands of civilians. What do you say to these charges? And how did war affect you personally, did you have sleepless nights? Dr. Nalaka Godahewa on Wednesday spoke at the 37th session of the UNHRC on the seminar topic of ‘The UN’s relentless pursuit of Sri Lanka’. The following are excerpts of his address. Not long ago Sri Lanka was a victim of terrorism. The people of Sri Lanka were terrorised for almost 30 years by one of the world’s most brutal terrorist organisations the world has ever seen. They were known as the LTTE or the Tamil Tigers. Peace returned to this island nation only in 2009 when the Sri Lankan forces succeeded in defeating the LTTE in an armed battle, thus ending one of the darkest periods in the history of Sri Lanka. The key objective of the LTTE was a separate state for Tamils in Sri Lanka which they wanted to name Tamil Eelam. The Tamil Tigers sustained an armed conflict concentrated in the North and East of Sri Lanka for almost three decades. At the same time they engaged in a terror campaign that didn’t spare any part of the country. The LTTE’s modus operandi was twofold – infiltrating civilian areas and engaging in mass killings in order to create fear and panic amongst public, thus exerting pressure on the government was one of the tactics. The other was periodically attacking the security forces and the military establishment using semi conventional guerrilla attacks. The LTTE carried out attacks on civilian targets throughout the country using human bombs, vehicle bombs, time bombs, claymore mines and also its military cadres. It was the LTTE which introduced the concept of human bombs to the world in the early ’80s as a means of spreading terror. Hundreds of men, women and children were trained by the LTTE to be suicide cadres. National leaders of two countries, a prime minister of India and a president of Sri Lanka, lost their lives due to the suicide attacks of the LTTE’s human bombs. The LTTE’s rise to power was gradual and systematic. First, they eliminated their potential threats within the Tamil community. Every Tamil leader who was seen as a potential threat to the LTTE leadership was killed. They also eliminated all other Tamil militant groups to become the sole representative of the Tamil community. According to the 1981 census, 19,334 Sinhalese lived in the Northern Province. However, due to the ethnic cleansing program carried out by LTTE, there were no Sinhalese residents left in these areas by the mid-90s. The focus then turned to the Muslims. In October 1990, the LTTE ordered over 75,000 Muslims who were living in the Jaffna Peninsula to leave their homes within 48 hours. The LTTE also carried out several brutal attacks on Muslim villages in the North and East, massacring more than 600 civilians. The attacks on civilian targets in majority Sinhalese areas continued for almost three decades. The LTTE used these attacks to put pressure on the government. They also expected majority Sinhalese to retaliate and attack Tamils living amongst Sinhalese so that they could get international publicity to that effect. But despite continuous attacks on Sinhalese, there was no racial violence in any part of the country since 1983. On 17 April 1987, the LTTE massacred 121 people travelling in a passenger bus in Habarana. 44 were injured. On 21 April 1987, the LTTE exploded a car bomb at the central bus stand of the capital killing 106 people. 295 people were injured. That created an enormous amount of fear and panic nationally. On 6 October 1987, the LTTE set fire to the Batticaloa mail train killing 40 people and 24 people were wounded. On 3 August 1990, the LTTE killed 147 civilians at a mosque in Kattankudy, Batticaloa where 70 people got wounded. On 10 April 1992, a parcel bomb in a bus killed 28 people in Ampara and 36 people were wounded. On 24 October 1994, a suicide bomber killed 54 people at Thotalanga and 72 people were injured. On 31 January 1996, LTTE suicide cadres drove a lorry full of explosives into the Central Bank building at Fort, killing 80 people and injuring 1,202 people. On 25 January 1998, the LTTE attacked the Temple of the Sacred Tooth Relic in Kandy. This is one of the most sacred places of worship for Buddhists. Once again a vehicle full of explosives were driven into the temple. On 18 December 1999, a suicide bomber at an election rally in Colombo killed 16 people and 106 people were injured. On 6 October 2009, a suicide bomber killed 27 people at a political rally in Anuradhapura and 84 people were injured. But throughout this long period, the international community virtually kept a blind eye. The LTTE stormed through border villages, slit the throats of innocent people, slit opened the bellies of pregnant mothers, exploded bombs all over the country killing civilians, but no human rights organisations came forward to speak on behalf of the victims. No UN Secretary General thought of appointing a panel to appraise him of the gruesome crimes the LTTE were committing. None of the LTTE’s extra-judicial executions qualified to enter the UNHRC records. No resolution was ever passed condemning the LTTE’s atrocities. When 600 unarmed policemen who surrendered to LTTE on the orders of the President of Sri Lanka during peace negotiations were killed in a mass murder in 1990 it was not called a war crime by any expert. Once the Secretary General of the UN Mr. Kofi Annan went out of his way to issue a message of condolence to a dead LTTE cadre. However, none of the LTTE’s victims ever received a single message of condolence from a UN head. The military option to defeat the LTTE was finally chosen after numerous peace talks, negotiations and ceasefires failed. It was never called a war. It was called a humanitarian operation because the government forces were fighting to free Sri Lankan citizens from the culture of terrorism. Close to 300,000 Tamil civilians who were used as a human shield by the LTTE were rescued during this humanitarian operation. During its hey-day, the LTTE had become one of the most powerful terrorist organisations in the world thanks to its international network of members. This network handled the fundraising activities for the LTTE. In addition, to arms procurement, they also handled the global propaganda for the LTTE. The Tamil diaspora living in western countries were forced to contribute willingly or unwillingly. The network comprised a number of front organisations and had spread to over 32 countries around the world. These front organisations, which worked through radicalised elements of the Tamil Diaspora, enabled the LTTE to lobby foreign governments, non-government organisations, media outlets and opinion makers. LTTE also owned a number of television and radio stations, websites and printing facilities in European capitals. This international network of the LTTE was a huge source of funds, which was controlled by a few individuals and organisations. Since the elimination of terrorism in Sri Lanka, the millions of dollars that were spent on arms procurement are no longer required but the funds keep coming. If Tamil Eelam is a forgotten dream that could be the end of a highly lucrative business for some individuals. Today, the handlers of this business empire have to spend only a fraction of the money they spent on the war earlier, to keep the Eelam propaganda live. With large sums of funds available this group of people, they can continue to lobby powerful politicians and officials whose voices matter globally. This is the reason why the international community is not allowed to leave Sri Lanka alone. Without most people realising, invisible hands continue to be at work. While the people of Sri Lanka are trying to rebuild a nation devastated by a three-decade long war, the UNHRC is being used as tool to reopen the old wounds. Not only the international opinion makers but the current government Sri Lanka is also a pawn of these powerful manipulators. The current leadership of Sri Lanka that came to power in 2015 acts as if they have some strong obligation to these radical elements of the Tamil Diaspora. That is why Sri Lanka made history in 2015 by being the only government in the world to co-host a UNHRC resolution against its own country. It is very important for one to understand that the majority of Sri Lankans are not racists. Our nation comprises Sinhalese, Tamils, Muslims and a few other ethnic groups. The country belongs to all of them. A citizen of Sri Lanka, irrespective of religion, race or creed, should enjoy the same rights and no one should act superior to another. Unfortunately a few people are trying to create a divide amongst the peace-loving people of Sri Lanka to attain their own objectives. We urge the international community not play into the hands of these isolated groups. Instead of supporting these extremist elements and their sinister agendas try and understand what the vast majority of people in Sri Lanka want. They want peace, they want to live in dignity enjoying equal opportunities and they want economic freedom. With a written history of more 2,600 years, we are quite capable of looking after our own interests and our people. Therefore, we request the international community not to support sinister agendas of extremist groups to force external solutions on a sovereign nation. 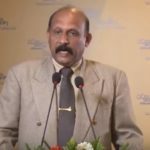 The article posted here under the heading “President’s term and Peoples power” was written and dispatched for publication on ‘Thai Pongal’ day. Since then the Supreme court determination has been made public confirming that the incumbent President’s term shall be five years and not six years as argued by Hon. Attorney General. As mentioned earlier, although article 49(1)(b) is very clear- referring to the ‘five- year’ term for the incumbent president as well-, the AG has argued otherwise. We are aware that the public perception in the ‘good old days’ was that AG’s opinion in general, is always right and the office of the AG was held in high esteem. 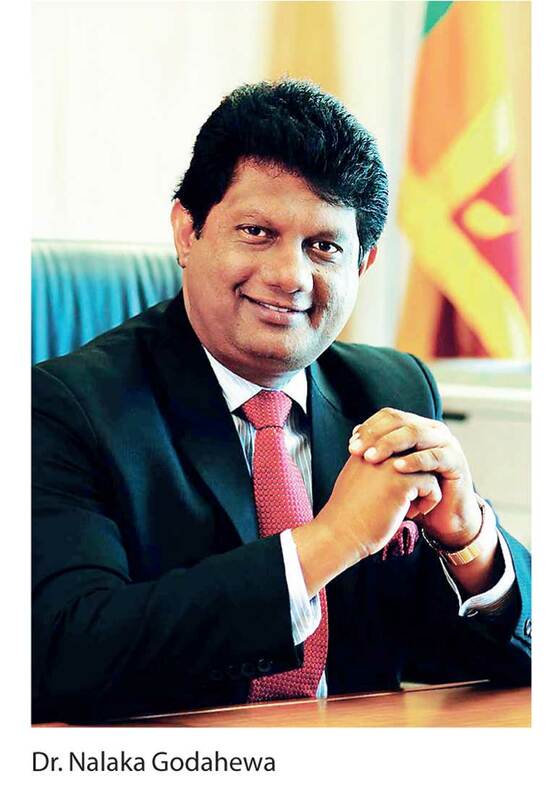 In the meantime, the Deputy Minister, Ajith Perera was quoted as saying that the government will change the Constitution and abolish the Executive Presidency adding that the people of the country gave the government a mandate to change the Constitution. We won’t be surprised that the next move of the government would be to seek peoples mandate through a referendum to abolish the Presidential system and revert back to a new parliament where they will count the duration of the parliament from the date of approving the new constitution. In the republic of Sri Lanka sovereignty is in the people. As we all know, President Sirisena has sought the opinion of the Supreme Court that whether, he, as the person elected on 9 January 2015, has any impediment to continue in the office of President for a period of six years. In terms of the Article 30(2) of the 19th amendment, the President shall hold office for a term of five years. It is important to analyze the socio-political considerations apart from the legal & constitutional validity of granting ‘six- year’ term for the President MS thus enabling him to stay in power till end November 2020. The writer’s view is this will effectively change the political game plans of the main political parties to be contested at the next General and Presidential elections due to be held only after December 2019 under the existing provisions in the constitution. Contrary to popular belief, the Presidential elections shall be held on or around December 2019 under the existing provisions in the constitution, whereas; unless the parliament dissolve themselves with two-third majority, even the President cannot dissolve parliament before four and half years, meaning the earliest date for the general elections would be in March 2020. In short, the Presidential election would essentially supersedes parliamentary elections, unless necessary amendments are brought in to the relevant provisions in the constitution. This will enable the present government to hold next parliamentary elections in 2020 whilst the incumbent president holds office to spearhead the elections. It is in that context only the President’s request to seek opinion of the Supreme Court should be viewed. The Attorney General, in support of President MS’s request to the Supreme court, making submissions in Supreme court on 11th January stated that the incumbent President was elected by the people to the office to a term of six years. Quote: “It is the sovereignty of the people who exercise their franchise to elect him as President. The power emanated from the franchise of the people. The commencement of his office should be considered from the date on which he is elected.” He further said that the 19th Amendment to the Constitution is operative after the incumbent President was elected for a term of six years by the people. It is true that, in terms of the Article 3 of the constitution the sovereignty is in the people and is inalienable. Sovereignty includes the powers of the government and franchise. Peoples’ Sovereignty is a fundamental right guaranteed under the constitution. Quote. “…The members of Parliament hold a mandate and are agents of the People”. These are the extracts of the judgement delivered in 1987 on the 13th amendment to the Constitution by Justice Wanasundera. Therefore, it is obvious that it is the power of the people that is exercised by the President and Parliament. Both the Parliament and the President derive power from the people. Doesn’t it affect people’s sovereignty? Let us examine the relevant provisions in the 19 A to the constitution. Article 49(1)(b) in the transitional provision says that the President holding office on the day proceeding April 22,2015, (referring to President MS) shall continue to hold such office after such date, subject to the provisions of the constitution as amended by this act (19A). Although this provision is very clear- referring to the ‘five- year’ term for the incumbent president as well-, the AG has argued that what matters is the sovereignty of the people and the incumbent President was elected by the people before the 19A became operative. Therefore, for the purpose of determining the term of the office of the President, the provisions under 19A cannot be taken into consideration, that’s the obvious argument by the AG. In this connection, it is also relevant to draw attention to Article 33A of the 19th amendment, where it says that the President shall be responsible to the parliament for due exercise of his powers, duties and functions etc. Earlier this provision of President’s responsibility to the Parliament was not there in the constitution. In the event, the ‘fixing the President’s term’ goes back to ‘pre 19A’ scenario under the ‘principle of sovereignty of the people’, then same principle applies to other changes that will happen by reverting back from Article 33A, meaning the previous scenario under which the incumbent President shall not be responsible to parliament. It badly affects people’s sovereignty as peoples’ legislative power shall be exercised by the Parliament. One can’t eat the cake and at the same time have it also. A pertinent question would be whether the citizens’ fundamental rights will be violated, in the event the term is extended. This is because the President would not be answerable to Parliament, if 19A doesn’t apply to the incumbent President. One of the major draw-backs during the last three-year period is the delays in execution of policies and programmes. It goes without saying that getting policy implementation right is critically important for ‘governance’ purposes. A simple governance structure, in our view has two functional dimensions. A more participatory style of management for policy formulation/strategic planning, whereas a more authoritarian style is needed for execution of such policies efficiently. In this respect the previous government has a proven track record for getting the implementation right. It is worthwhile to mention that the former Defense Secretary, Gotabaya Rajapaksa played a major role in driving the infrastructure development of the country through instilling a strong work ethic culture. The immediate future scenario would be that more and more people would become dissatisfied with the government machinery. This will lead to social unrest which makes the system un-governable. Will this political strategy backfire? Coming back to the question of extending the President’s term by further one year, this will enable the President to hold the parliamentary elections before the next Presidential elections in 2020, whereas according to the present constitution, the Presidential election would have to be held in December 2019 before the general elections. Postponing elections is not a new or embarrassing act for this government, however it affects peoples’ sovereignty in terms of the article 4(a) and 4(e) of the constitution on two accounts, namely the franchise and the legislative power of the people. It is therefore interesting to find out as to why the present government wants to postpose the next Presidential elections till General elections are held and over. Is it because of ‘GR factor’? 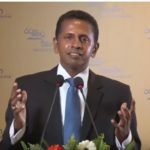 Sri Lankan economy is underperforming: The balance of economic power is shifting from West to Asia, with China, Japan, South Korea, India, and many other east/south Asian economies leading the global economic recovery. The World Bank forecasts global economic growth of 3 percent in 2018 and the growth in so called advanced economies is expected to be around only 2 percent in 2018. The economic growth in emerging markets is projected to strengthen around 4.5 percent in 2018, China, Vietnam, South Korea and India will perform much better. It is a pity that according to the latest reports of the World Bank, the projected growth rates even for South Asia countries (India, Bangladesh and Pakistan etc) during the next two-three years are around 6.8 – 7.2% whereas, Sri Lankan growth figures are much lower than the above and it is around 4%. Sri Lanka continues to be relied on Western markets for our export earnings. The bulk of the Sri Lankan exports (60%) have been to the US and EU. As seen above the Asian economies attain a strong growth. Asian growth champions, China and India are predicted to grow at an impressive 6.4 and 7.3 percent respectively. (1) Lack of a ‘shared value system’ and work ethic culture. (2) policy inconsistencies, incongruities and lack of clarity on the specific policy. (3) Policies drawn without due consideration of geo-political realities and environmental factors. (4) communication gaps in forwarding the relevant policy docs. (5) the specific policy change may not be acceptable to influencing stakeholders. (6) process of policy change has been perceived by majority stakeholders as not transparent. (7) Undue private sector lobbies creating confusion in decision making. (8) trade union views are not sought at the beginning itself. (9) influencing stakeholders, anyway want to scuttle the process and the government’s inability to cope up with the social unrest. Sri Lanka is yet to effectively ‘plug in’ to the dynamic growth centres that are emerging in Asia. 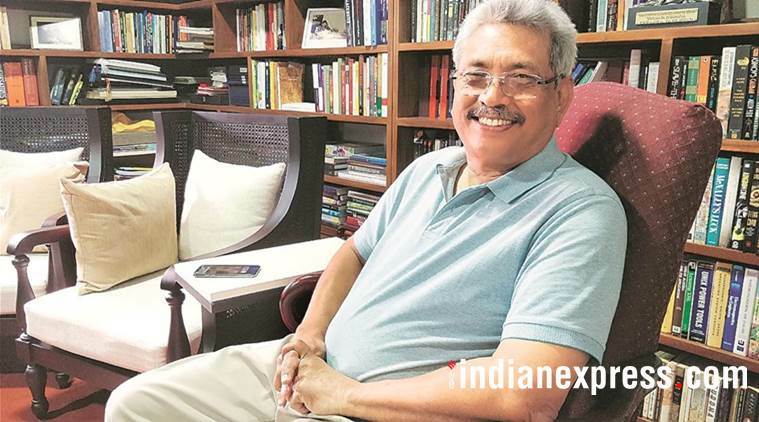 According to former Defence Secretary, Gotabaya Rajapaksa this is one of the priority areas for further studies for policy shaping, if we are to truly, fast track development initiatives to improve the economic welfare of the people of this country. It is in this context only the policy shaping and future strategic directions for Sri Lankan economy should be viewed. The writer is of the view that in the past the leaders of the political parties who aspire to become the policy makers in the next government that they are going to form, used to engage in drafting ‘party manifestos’ in a hurry without due consideration of ‘evidence- based policy shaping’ and -come out with some practical & implementable strategies- focussing on achieving long term sustainable development goals as a whole.in this connection, it is very important to analyse and find out what are the industries and businesses in Sri Lanka having ‘competitive advantage’ to penetrate in to these emerging markets. We also need to find out whether there are any skill gaps in the ‘human resource’ needs to further improve the competitiveness of the industries. In the recent past, the socio- economic analysis & research unit- through our ‘RTD Forum’ and ‘Viyathmaga organisation’ – has engaged in critically reviewing the national policies, their formulation & implementation covering areas such as Agriculture, SME sector, economic development, transportation and infrastructure etc. Whilst there is a need for a continuous review of national policies & programs, our view is that these winning strategies have to be crafted based on evidence and studying past experiences, without any fixed ideologies linked to petty party politics and affiliations. We preach that Sri Lanka is a Democratic Socialist Republic and practice social-market economy. One of the measures to see the role of government in the social sector is to look at the total tax collection from the rich and the subsidies afforded to the less privileged people in society. 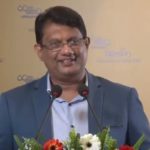 The rich countries’ tax collection is around 45 percent to 50 percent of gross domestic product (GDP) and they in turn invest 12 percent to 18 percent on health and education, whereas in Sri Lanka, our tax revenue is around 13-15% percent and how much do we spend on education and health? The growing tax collection has enabled the developed countries (US, Britain, France and Sweden) to take on social welfare functions. A major portion goes to health and education. Spending on education and health accounts for 12-18% of national income in all the developed countries today. In all the developed countries, public spending covers much of the cost of education and health services: The goal is to give equal access to these basic goods: every child should have access to education, regardless of his or her parents’ income, and everyone should have access to health care. Unfortunately, in Sri Lanka, the governments of the day do not spend even 4 percent on health and education, where more than 25 percent of our people live below the poverty line. In fact, there has been a reduction in the capital expenditure on health during the last two to four years. Our health and education services are fast deteriorating to a level where we could end up in having unhealthy and less educated children similar to the population living in least developed countries. In Sri Lanka, corruption and mismanagement have reached such proportions that the young electorate, especially the millennials viewed political leaders with suspicion. They are really fed up with all the political parties including those in the government as well as in the opposition. The successive governments have failed in bringing social justice and much-needed economic welfare to the people. Consequently, the income inequality and social unrest are fast spreading across the regions, sub-districts and cities. Most of the top Business leaders and Professionals are of the view that the quality of life of not only poor, even the middle class is drastically declining. The immediate future scenario would be that more and more people would become dissatisfied with the government machinery. This will lead to social unrest which makes the system un-governable. Time is opportune for the professionals, academics and business leaders to come forward and critically review how to raise much needed investments in order to improve “Education and Health” sectors on a sustainable basis. Our view is that we must have ‘brain-storming sessions’ inviting cross section of people and the concerned professionals and craft ‘winning strategies’ for Sri Lanka, based on evidence and lessons learnt (by studying benchmark best practices, past experiences etc.) without any fixed ideologies linked to petty party politics and its affiliations. ‘Politics’ is too good to be left out to conventional politicians only.